The climbing manufacturer Mammut has been releasing a series of short videos about classic hard routes from the beginning of sport climbing. Most recently Hubble, in the Peak District in England and freed by Ben Moon in 1990, came in for this treatment with a short segment featuring Sean McColl, the super-strong Canadian climber. McColl came in for some heckling because he wore a kneepad in order to kneebar his way through the undercling crux. I had a theory that McColl was set up by some Sheffield locals in the pub the night before. These locals saw that since McColl was new to the Peak climbing scene, he could be persuaded that,"of course we're all kneebarring this (iconic power) route these days." This might explain a certain sense of detachment that can be seen on the part of Ben Moon when McColl discusses the beta he's using. Regardless, the film concludes with McColl walking away empty-handed as all contenders have done since Steve McClure. Here's Steve McClure on it with no kneebars along with footage of Ben Moon on it. Ire was expressed at ukbouldering.com http://ukbouldering.com/board/index.php?topic=24273.0 where this kind of situation was seen as a national emergency, which in a way it is, primarily because what the route represented and still represents for British climbing. In an era where "pros" seem to spend most of their time on 40 meter monster pitches in sunny Spain (whatever happened to France?) or on quickly forgotten film projects in some previously unheard of remote tropical/desert/arctic locale, Hubble is a semi-obscure relic of an era when top climbers in Sheffield had issues affording bus fare to far-flung destinations such as Cheedale. During my time in England, only a few years before Hubble, affording the 2 or 3 pound round trip fare to the limestone areas in the Peak was a real issue, one that apparently also hampered the efforts of the second ascensionist Malcolm Smith. Thanks in part to the overtaking of media production by commercial interests, climbers get the impression that the best chance of recognition and sponsorship comes from tackling projects that look good, that are so-called "king-lines." A certain degree of scorn is visited upon local testpieces that lack the perceived quality of routes or problems in celebrated (and often more softly graded) areas. For sponsor-fed media, grades, which are hard to settle on and even harder to portray on video, are secondary to photogenic qualities which can be reproduced for branding possibilities across multiple social media platforms. The reality of these king-lines often enough turns out to be more complicated in retrospect. Does anyone remember Ambrosia or Luminance in the Buttermilks? Relatively scruffy short roadside testpieces such as Hubble are overlooked today. Indeed it is easy to write off failure on such routes as the inevitable effects of their "uninspiring" nature. Even Adam Ondra felt it necessary to apologize for both his Hubble-like 5.15c route Vasil Vasil and the 2011 V16 (and still unrepeated) boulder problem Terranova. Sadly both will probably go unrepeated unless someone puts up a bounty of some sort. There is no question that Hubble clearly needs to be upgraded. In my view this situation has got to change and should be actively discouraged by all means possible. Are we reaching a point where many elite climbers actively avoid investing effort in creating and repeating local testpieces, instead pursuing photogenic sponsored projects in distant attractive and "exotic" locales? My view is that the future is in local testpieces which among other things offer more sustainable climbing practices and much lower carbon footprints. Here in Colorado, I feel especially blessed with the plethora of local roadside projects across the difficulty spectrum. Lacking the mysteriously copious financial resources of my underemployed peers, I will have to make a virtue of necessity and remain a climbing locavore. I hope that others follow in the footsteps of climbers like Dave Graham and Daniel Woods, who, in addition to various globe-trotting adventures, have found so many good accessible problems here on the Front Range. Who will produce the next Hubble? La Dura Dura is as I understand it reasonably local for Chris Sharma . You already mentioned Adam Ondra's home projects. Alex Megos has put up several hard things in the Frankenjura lately. That's the three top sport climbers in the world accounted for. It's hardly Sharma's and Megos' fault that their home crags are not grotty and uninspiring. Dura Dura is actually in the short and bouldery category along with the notoriously short and powerful First Round First Minute. Sharma commented in an interview "It may sound strange, but this route got me back into bouldering, that first section has a Font 8B+ section and it was great fun and also really different to try something with tiny crimps, instead of holds on the long stamina routes I often do." Sharma broke into the climbing world in earnest with very quick repeats of routes such as Lungfish (probably still the only 1-day ascent) and Super Tweak and of course the FA of the tough-as-nails testpiece Necessary Evil. None of these routes are known for their aesthetics and are avoided like the plague by a newer generation. So he's earned his time in Spain. The Frankenjura is basically Raven Tor X1000 but on pockets. Few routes are longer than 40-60 feet, many much less. It also has a reputation for shutting down outsiders. It's hard to call the typical Frankenjura testpiece as particularly spectacular in appearance. They rarely turn up in pictorial form in magazines. It's worth mentioning that Megos, Ondra and Sharma have not done Hubble. The first two have tried Hubble already, having also onsighted 9a and repeated many routes in the 8c+ and 9a grade very quickly. I'm pretty sceptical of ths "nobody goes to the Frankenjura any more because everybody is scared of powerful bouldery routes these days" theory. I checked the 8a.nu database for ascents of 8c and above in the last twelve months and counted 6 by locals, 9 by non-local Germans and 35 by foreigners. Thanks for the spelling catch! Regarding all those foreigners climbing hard in the Frankenjura, I wonder how many of them are from eastern Europe? How many of them were Adam Ondra? More interestingly how many 8cs were by American climbers? American roped climbers have a very thin record there to my knowledge, preferring Spain or Ceuse. > Regarding all those foreigners climbing hard in the Frankenjura, I wonder how many of them are from eastern Europe? > How many of them were Adam Ondra? Mark Anderson was over recently and knocked off Ghettoblaster (8b+) in pretty short order - not bad for a family holiday where he said in his blog he didn't want to get into any heavy projecting. But dude, failing on your local proj day after day doesn't make for very likable Instagram posts. No start-up apparel companies will ask you to be a brand ambassador. And If you have to put a lot of effort into something you can't even log it as 'soft' on 8a.nu and no one will be impressed by how quickly you climbed it. There is basically no point in trying anything that is actually hard, ever. Good post! Brits are particularly proud of hubble, almost the definition of a "testpiece". You certainly wouldn't want to climb it for any other reason than to overcome the pure challenge of the climbing. I think that what dave graham, daniel woods et al. 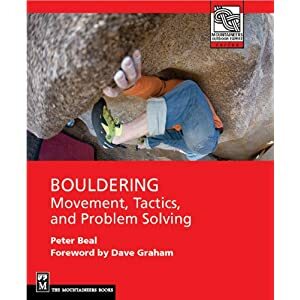 are doing on the boulders in CO qualifies as a local area. Elkland isnt a world class destination! As a consequence most of the V14/15 problems in the US exist within an hour of boulder... and that isn't just because of the rock! Oops mis-read your last paragraph there Peter. Yes, agreed, the front range is a good place for a locavore. I think theres a bunch of strong climbers out there putting up standard-setting climbs but keeping things on the downlow. They live their lives without sponsorship.. Im thinking particularly of Pacific NW - leavenworth, squamish. The only hard climbing (not that it's actually hard) I ever do is on super obscure local projects that would probably make terrible video. Hubble is my favorite route and, traditionally, Malc's Hubble simulation is always the first route set on my board. I've also climbed in about 40 countries and the Frankenjura is one of my favorite areas (best pubs ever). Of course, I'm never in videos and wouldn't be even if I were strong. Just making a point that localvores do exist.